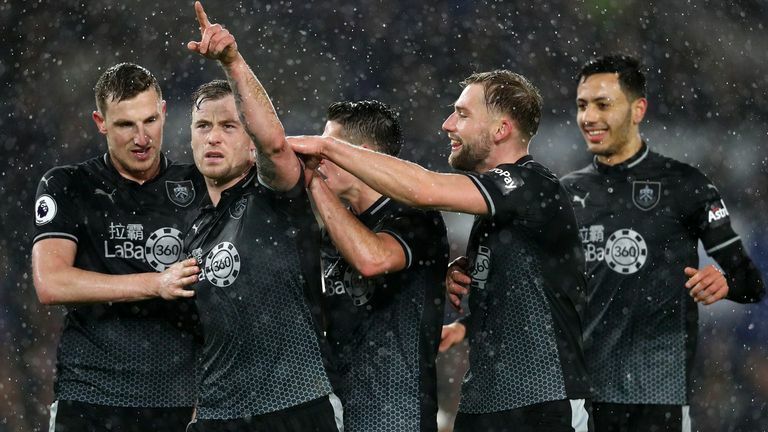 Sean Dyche says he could "smell" mental strength returning to Burnley after they secured a club record seventh successive Premier League game without defeat. Burnley won 3-1 at Brighton on Saturday thanks to two goals from Chris Wood and a penalty from Ashley Barnes. The Clarets, who slipped into the relegation zone ahead of kick-off following Cardiff's dramatic win at Southampton, have now taken 15 points from a possible 21 since a 5-1 Boxing Day thrashing at home to Everton. "Pleased with seven unbeaten in the Premier League, it's another historical marker for these players," said Dyche. "Mostly pleased for the mentality of the group because there have been heavy questions this year, a different kind of season. "Still more to come but lots of questions, lots of confusion, lots of odd things, lots of differences, lots of new challenges and culminating in a tough day on Boxing Day when we had to realign. They (the players) take massive credit for that. "It just floods back in very quickly, no-one can put their finger on it.